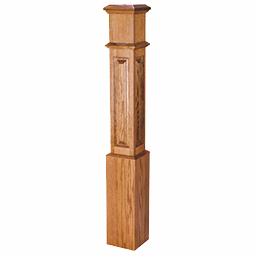 ﻿ Hardwood Box Newel Posts | Scotia Stairs Ltd.
Our Box Newel Posts Are Individually Handcrafted In Our Very Own Custom Millwork Shop. 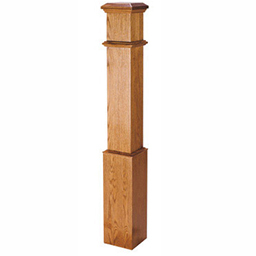 Our Hardwood Box Newel Post Collection offers many beautiful profiles that enhance the appearance of your staircase and compliment any architectural style. Our box newels are designed to be combined with our standard rail and baluster profiles. Custom box newels make it easy to create that quality, high end look you are seeking. Box Newels pair up very nice with our ornamental metal balusters for a truly one-of-a-kind elegant design… or pair them up with square wood balusters to create that simple/clean modern look. We offer over 10 hardwood box newels: from the simple plain box newel, to the contemporary shaker / mission panel box newel. We can add chamfered edges, flute lines, and eased edges to our box newels. Our large variety of styles allows you to transform your stairway into a beautiful piece of furniture, which reflects your style. Manufacturing Notes: All hardwood box newels manufacturing is done 100% in house and all our box newel post are 100% Canadian made ( proudly made in Nova Scotia, Canada ). 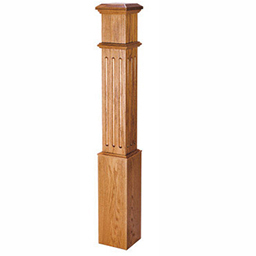 We custom manufacture our hardwood box newels to meet and exceed industry standards. These newels are made in a solid box construction method, the outer hardwood faces on our box newels are full 1″ thick hardwood lumber that is milled down to a finished size of 3/4″. Why do we manufacture our box newels this way ? We do this so you will not end up with 2 sides with edge grain and lamination lines. With our box construction method your post will have four face grain fronts, with very little edge grain at all ( which in our opinion is the best look any stair parts manufacturer can provide ). The interior core of our box newels are made of solid hardwood for the bottom 13″, so there is plenty of solid base for mounting the newel post. We make a small portion of the top solid also, so you can fully glue down the post top cap ( please see base bottom note directly below ). Base Bottom Note: All base bottom boots for our hardwood box newels come fully assembled and loose as an individual piece ( a two piece base boot trim kit will be supplied ). This is to help aid in a better / stronger newel post install ( please see install note directly below ). 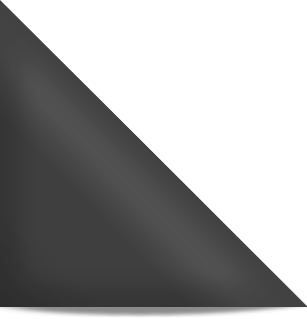 Note: Our base boot bottoms are a full 13″ in length, giving you that rich look that your staircase deserves. ( note: you can also counter sink some standard 3-1/2″ x #8 wood screws though the four bottom sides of the shaft, for some added strength ). Now, simply remove the tape and slide the base boot bottom down. Finish the job off by trimming the top of the base boot out, with the two piece trim kit that was also supplied to you. Note: our box newels are sold based upon the true shaft size. 3-1/2 inch box newels specs: 3-1/2″ main shaft thickness, 5″ wide x 13″ high base, 5-1/2 inch top cap, 5 inch neck collar trim size. 4-1/2 inch box newels specs: 4-1/2″ main shaft thickness, 6″ wide x 13″ high base, 6-1/2 inch top cap, 6 inch neck collar trim size. 5-1/2 inch box newels specs: 5-1/2″ main shaft thickness, 7″ wide x 13″ high base, 7-1/2 inch top cap, 7 inch neck collar trim size. Pricing Note: Half Box Newels are Priced at 60% of Full Box Newels Prices.